A lot of people ask us “Why do we need an education foundation?” or “What does the Foundation do?” Here is a list to help answer those questions and to highlight some of our current events and projects. For the 2012-2013 school year, school districts are facing less state funds and local tax revenues. Some analysts are projecting that Pennsylvania school districts will need to cut their budgets by as much as 8%. The cut in funding for our school districts means less money available to spend on our children and reduced learning opportunities. In response to these cuts, a group of committed parents have been working to establish the Foundation to obtain supplemental funding to support. The Foundation is working to develop relationships and partnerships with individuals including alumni who will assist us on targeted fundraising efforts such as science, music, arts, foreign language. As a 501(c)(3) nonprofit corporation, the Foundation has been working with private foundations and corporations to obtain donations, as well as, actively pursuing funding from government sources (local, state and federal). The Foundation has also served as a resource to several Home and School Associations and district groups for advice. Since January 2011, the Foundation has established a Board of Directors and a dedicated group of volunteers along with obtain 501(c)(3) tax exempt status and developing a website. The Foundation has applied to participate in the Pennsylvania Tax Credit Program, a program only available to education foundations and the United Way Program (donor code: 49418). The Board members and volunteers have worked hard over the past year to ensure that solid groundwork is in place to review and award grants for innovative learning opportunities, work with the school district teachers and administration to identify the students’ needs and obtain funds to support these needs. On January 6, 2012, the Grants Committee of the Foundation received 29 grant applications from teachers across the district as part of the teacher grant program. By the end of January 2012, the Foundation will have awarded over $10,000 to support innovative programs for teachers. In addition, the Grants Committee will review the applications to determine if there are larger funding initiatives. 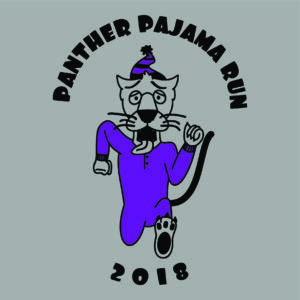 The Foundation successfully organized a Panther Pajama Run and Pancake Breakfast to increase awareness of the Foundation in November 2011. The Signature Event Committee of the Foundation is working to develop an event to fundraise and increase awareness for the Foundation this spring. The Foundation is always looking for additional help and support. If you would like to become a volunteer or a board member, please let us know: info@supportwssd.org . Download a one-page flyer to share with others.